Looking for room to roam? Then look no further! 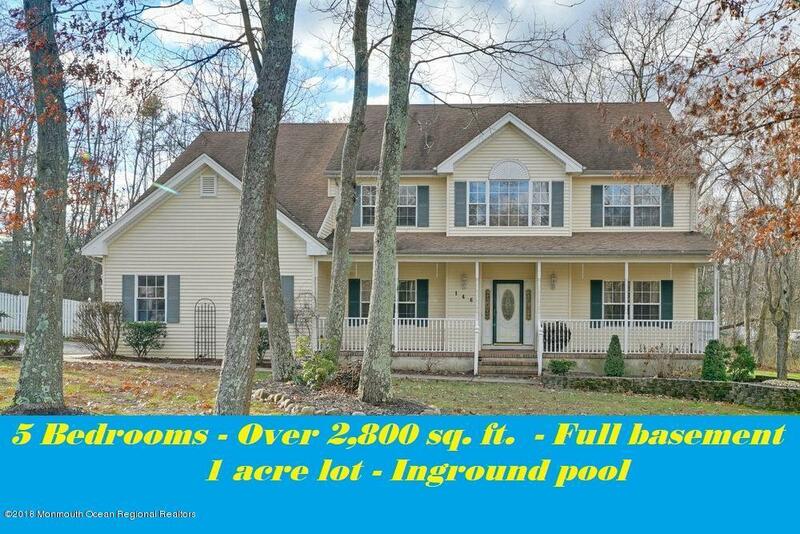 This 5 bedroom home sits on an acre lot, and offers a full basement, and a fully fenced backyard with an in-ground pool. There is a 1st floor bedroom and a full bathroom too! The has 4 large bedrooms and a full bathroom, and a large master bedroom with cathedral ceiling, and two walk-in closets. The master bedroom bathroom offer dual sinks, a soaking tub with a separate soaking tub. There's a large eat-in-kitchen, a large formal dinging room with wood floors, and a formal living room with wood floors.. The family room has a dramatic two story ceiling with a wood burning fire place with wood floors, as well as a dramatic two story foyer with two coat closets. Come out and take a look today!